If you decide to sell their “Star Wars” rally, the force will not be with you, according to Citigroup’s Jason Bazinet. Mr. Bazinet stated that he isn’t buying the narrative on Wall Street that traders need to own shares of Disney while it’s heading to the release of “Star Wars VII – The Force Awakens” but sell the stock afterwards. 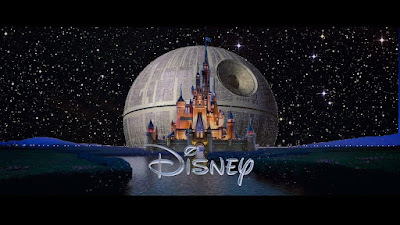 "Here's what the Street is missing: The slate for 2016 is going to be Disney's best overall, so it's really not just about the December release of 'Star Wars.' It's really about the full 2016 theatrical release," he said in a "Squawk on the Street" interview. "If you see a pullback in the shares as people sell ahead of the 'Star Wars' news, we're buying on that." Coming next year, Disney will be releasing the very first “Star Wars” anthology movie, Marvel Studios’ “Captain America: Civil War” and “Doctor Strange,” along with many family films that include an “Alice in Wonderland” sequel. The shares of Disney went up by 2.3% last Friday, one day after the company reported mixed quarterly earnings. The stock price went up 22% year to date. The revenue in Disney’s studio entertainment segment reached $1.8 billion in the fourth quarter, this is roughly flat from the previous year, but right in line with analyst expectations. The income for operating the segment more than doubled, because of theatrical distribution of such titles as “Ant-Man” and “Inside Out”. Disney’s largest segment in investments is media networks. Investors were worried about the strength of Disney’s cable networks when Chairman Bob Iger hinted that the business, which includes the important ESPN channel, had lost traction and subscribers after Disney’s third-quarter. These comments sent Disney’s stock and the whole media complex spiraling out of control. During the most recent quarter, Disney media networks had an operating income of $1.82 billion, which is a 27% increase from the previous year. The company gave its improvement due to higher affiliate fees and a stronger advertising revenue for the ABC and ESPN networks. Disney is currently trading at a 22% premium to the S&P 500, with nearly 60% above its media peers. Bazinet stated that valuation is deserved, however Disney will need to deliver on their earnings growth. One of the reasons why the stock’s multiple is so much higher above its peers is because of portfolio managers are hiding in shares of Disney because they are scared to own other media stocks, Bazinet said. "The time to get nervous about Disney's multiple is if things sort of heal in the media ecosystem, where portfolio managers feel like they can go buy a cheaper stock safely. That's not the environment we're in right now," he said. When it comes down to the media side of Disney’s business, Guggenheim Securities analyst Michael Morris stated that he cannot discount the case until he learns more of a constructive view from the company on its strategy to deliver its ESPN content to consumers that are outside of the traditional cable bundle. "Going forward, it's really a question of whether or not ESPN believes that they can build a product outside of a bundle at a price point that both is attractive to them and doesn't cannibalize their existing business if they do get pushback from distributors for creating that product," he told CNBC's "Squawk Alley."